Albert Griffiths founded the Gladiators in 1966 after some success on his own. The group scored their first hit, produced by legendary producer Coxsone Dodd, with ‘Hello Carol’ in 1968. During the ’70s the Gladiators made their way through releases on labels like Studio One, Upsetter, Virgin, and Groovemaster. 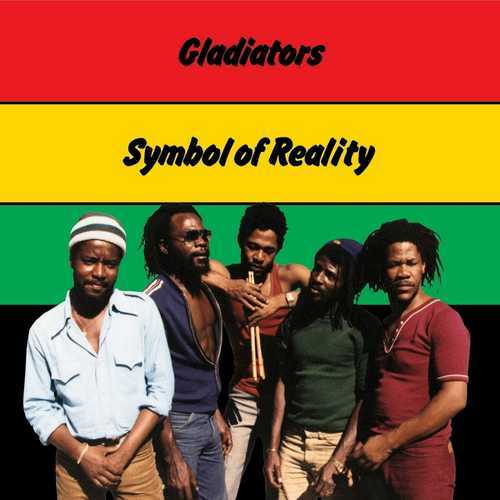 1980 found the Gladiators working with producer, and pre- Electric Avenue hitmaker, Eddy Grant on the album Gladiators, which also featured members of the band Aswad lending a musical hand. On 1982’s ‘Symbol Of Reality’, their first for the Nighthawk Records label, they revisited their own catalog of songs re-recording their classics, ‘Dreadlocks The Time Is Now’ (appearing here as ‘Streets Of Gold’), ‘Watch Out’ and ‘Big Boo Boo Deh’ (returning retitled as ‘Cheater’) while also paying homage to The Wailers with covers ‘Small Axe’ and ‘Stand Alone,’ both written by Bob Marley. This newly remastered version of the album on Omnivore Recordings features the original ten tracks, the two bonus tracks that were added to the original 1997 Nighthawk CD reissue, ‘Symbol Version’ and ‘Righteous Man Version,’ plus four previously unissued tracks, ‘Streets Of Gold Version,’ ‘Not Afraid To Fight Version,’ ‘Symbol Of Reality Instrumental Dub’ and ‘Streets Of Gold Instrumental Dub.’ Original liner notes are also included. The reissue has been overseen by original Nighthawk Records’ producer Leroy Jodie Pierson and Grammy® Award-winning producer, Cheryl Pawelski, and has been remastered from the original tapes by Grammy® Award-winning engineer, Michael Graves.